I am dragging boxes from the attic, trying to remember where I displayed each nativity set in my NC home and scanning my rooms for the same flat surfaces in this new place. None of my familiar table-tops are in good viewing areas in this home. I let out a sigh, my my shoulders slump. I stare at the dusty Rubbermaids stacked and scattered so haphazardly my back dining room resembles an obstacle course rather than family living space. I fight the urge to haul them all back up to the rafters and forget the whole thing. Shouldn’t a tree and fresh wreath be enough? I glance out at Superman who is stringing lights along the front of our decidedly easier roofline compared to the steep pitches of the last six years. He is a happy man, happy in his part of the preparing. I…not so much. But there is no going back on Christmas. It is coming whether I open my boxes and find new places to put old treasures or just leave the whole mess for my children to use as a giant pinball game. Given the visual of the later, I decide to accept the former. This is my first step in preparing: Accept the assignment. I want to answer like Mary did. I want to accept the assignments given me in each season of life. Once the assignment is accepted, then preparations can truly begin. I plug my phone into its docking center and find my Christmas station on Pandora. Soon the room fills with the sounds of carols and my mind slowly begins to unknot itself. 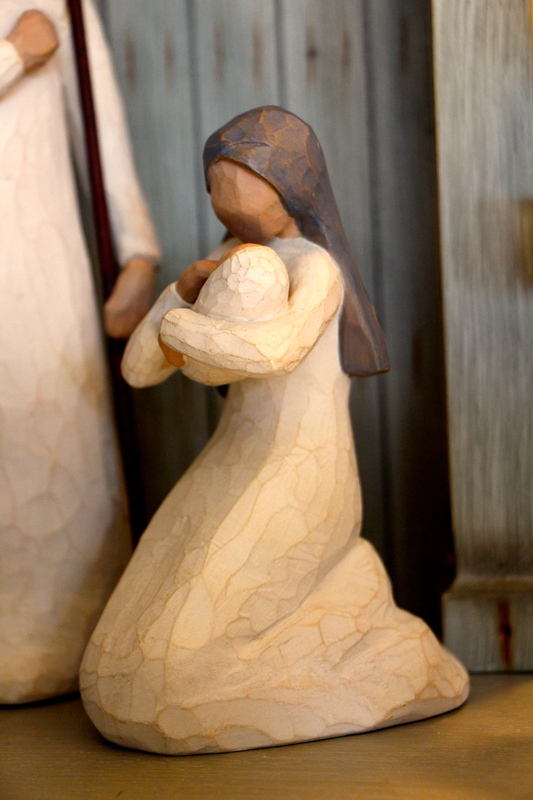 I wonder if Mary still felt overwhelmed, even after she bowed her head and accepted her assignment… What were those first moments like? How did she move forward? How did she prepare? What were the sounds she heard in the silence of her room? This Advent season, I want to prepare with a heart of joy and wonder. Maybe if I am so transfixed on the miracle, I won’t be so overwhelmed by the boxes in which Christmas comes. It will require the music of heavenly hosts. Beginning with songs of Prophesy—the promise foretold, stanzas of journey towards Bethlehem where the Prince of Peace was born, hymns sung in Joy with the shepherds, Love lines in the message the Angels brought them, and finally Hallelujah! praise to Christ our King, born of the one who accepted her assignment. 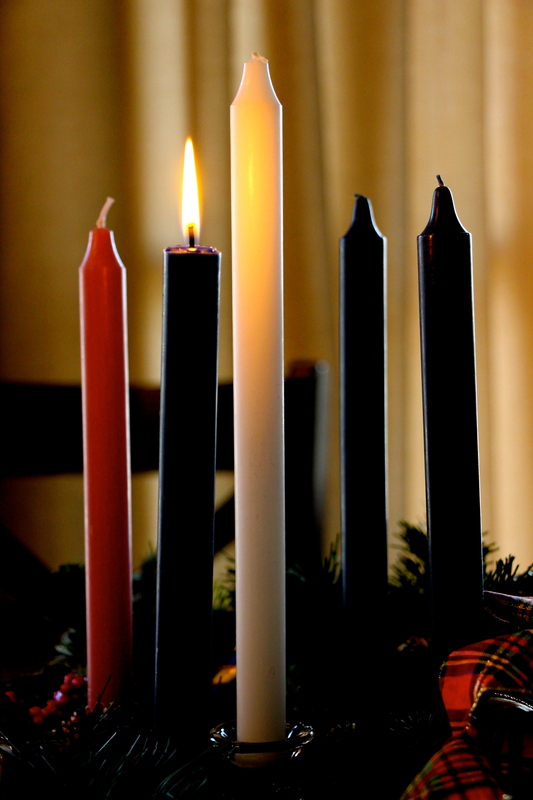 My desire and prayer for these next four weeks is that you will Advent with me. Together we can wonder over the moments leading up to Christ’s birth through the lines and stanzas of old Christmas carols. We will wonder as we wander—as we prepare home, make plans, buy gifts, attend parties, bake cookies, and find new places for our old nativity scenes. Light a candle. Listen to the music. Advent has begun!